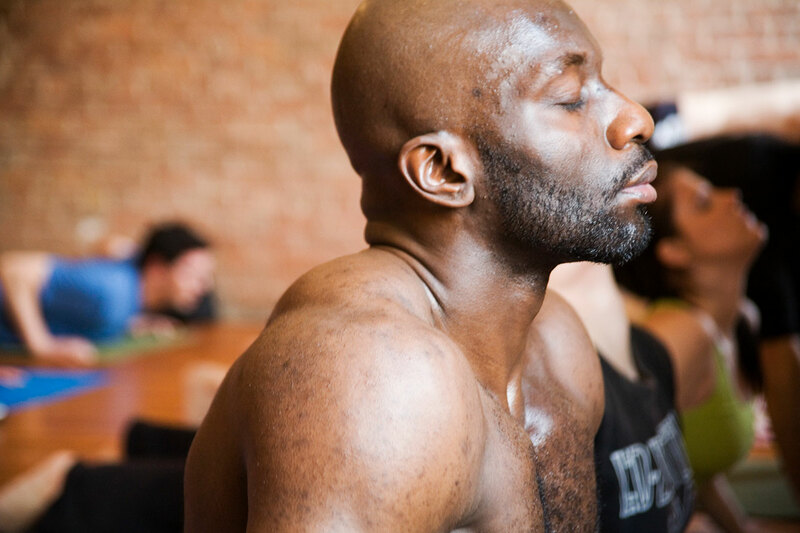 Our Power Vinyasa yoga classes welcome everyone – we encourage new students and motivate those with more experience. Our classes allow you to work at a level that’s comfortable for you. Vinyasa means “breath-synchronized movement.” Power Vinyasa yoga is a powerful, energetic form of yoga where students fluidly move from one pose to the next while connecting their breath to their movements. Students are guided through regular, yet dynamic sequences of postures that become familiar over time. The sequences incorporate variations to modify, intensify, or challenge the body by altering the pace or duration of poses and the frequency that they are repeated. Often referred to as “meditation in motion”, Power Vinyasa yoga cultivates strength, endurance, focus, balance, and flexibility. Our Power Vinyasa yoga classes are taught in a room heated to 94-97° Fahrenheit with 40+% humidity, which makes it a vigorous and revitalizing form of practice.